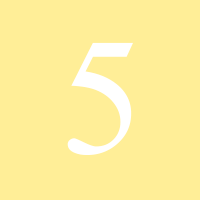 2019 will be a Number Five year for you. Ruled by Mercury. This is a year of discovery and freedom. It’s a time when exploration and reaching out to others brings opportunities. It’s a good time to advertise, promote, and sell. Surprises are in store, and the routine is broken for the better. This is a year when exciting relationships can be formed; or, if you are already in a partnership, new life is breathed into the relationship. Advice explore, look for adventure, keep your eyes open for opportunities, diversify, mingle. Love vibrations increase in frequency as the moon in Aquarius parallels Venus (2:16am) while Venus forms an inspirational, 72-degree connection with Pluto (4:12am). However, don’t take dear ones for granted since just 2 hours later the moon squares Venus (6:47am). A highly-encouraging dynamic duo of alignments materializes later on and just 12 minutes apart when a fairly rare 72-degree link between Saturn and Neptune (6:41pm) nearly coincides with a mind-expanding Superior Conjunction of the sun and Mercury (activating 29 degrees of Virgo at 6:53pm). The eminent astrologers of the twentieth century Dr. Marc Edmund Jones and Dane Rudhyar referred to this union as a Full Mercury wherein human souls could eagerly receive ingenious seed-ideas originating from high levels of consciousness. Find time to study metaphysics or read a literary classic. The Wheel turns on – ’tis Mabon-tide. darkness, brightness, calm and storms. The hand that holds the scythe transforms. poise will let my power be known. From balance the Wheel now turns toward the deep. As the days and nights are equal and balanced, So am I. I am balanced intellectually, emotionally, and spiritually. I am an equinox within. The sixth day of the Eleusinian Mysteries, Iacchos and Epopteia, Holy Night, the initiation. Sacred procession from Athens to Eleusis, the showing of the Mystery, the ear of Com, the promise of Baubo for Persephone’s return, Demeter’s granting oflife to the Earth. In South America, the birthday of the Sun (Inca), Quetzalcoatl. He is also Apollo, Ra, Legba, Damballah, Christ, Yahweh, Helios, Tarnmuz, Adonis, Attis, Osiris, Horus, and Lugh. balance of day turning to night. love and harmony, and gratitude too. On Thursday, September 20, We Celebrate…. About Mama Kilya: In Incan tradition, Mama Kilya regulates the festival calendar and all matters of time. She is also a prophetic goddess, often warning of impending danger through eclipses. When these occur, one should make as much noise as possible to frighten away evil influences. To Do Today: Because they live south of the equator, Incans consider today, which for them is the spring equinox, the sun’s birthday. Follow with tradition and rise early today to catch the first rays of the sun as they come over the horizon. These rays hold the goddess’s blessing for health, prosperity, and timeliness. Another customary practice today was that of sun and fire divinations. If the sun is shining, sit beneath a tree and watch the patterns it creates in the shadows and light. Keep a question in mind as you watch, and see what images Mama Kilya creates in response. Make note of these and look them up in dream symbol books or any guide to imagery for potential interpretive values. Should the weather prove poor, place any yellow-colored herbs on a fire source and watch what happens. Popping and flying indicates lots of energy and a positive response. Smoldering indicates anger and an iffy response. Finally, flames dying out completely is a negative-definitely don’t move forward on this one. Date: September 20-23 (usually, the date of the calendar autumn equinox). Alternative names: The Autumn Equinox, the Second Harvest Festival, the Feast of Avalon, Equizio di Autunoo and Alban Elfed. Primary meanings: The Fall Equinox falls exactly opposite the Spring Equinox of March 20 to 23. Both are times of equal night and equal day. The Equinox is the time of equality between the God and Goddess–the God represented by the Sun, the Goddess by the Moon; fruitfulness of the land results from their connection, and now the harvest’s bounty is brought in and stored against winter and dark times. The key action at Mabon is giving thanks. At the Autumn Equinox, the Sun’s strength also begins markedly to diminish, even disappear, until Winter Solstice in December. Symbols: Garlands, corn, apples, pinecones, gourds, acorns, wheat, dried leaves and horns of plenty (cornucopias). Foods include corn, beans, squash, nuts, apples and root vegetables; drink includes cider, wine and beer. Colors: Red, orange, yellow, deep gold, brown, russet, maroon, indigo and violet. Gemstones: Amethyst, carnelian, lapis lazuli, sapphire, yellow agate and yellow topaz. Herbs: Acorns, aloe’s wood, asters, benzoin, cedar, chrysanthemums, cinnamon, cloves, ferns, frankincense, hazel, honeysuckle, hops, ivy, jasmine, marigold, milkweed, musk, myrrh, oak leaves, passionflower, pine, pomegranate, roses, sage, Solomon’s seal, thistles, tobacco and vines. Goddesses and gods: Goddesses include Morgon, Snake Woman, Epona, the Muses and Demeter; gods include Thoth, Hermes, Thor, Dionysus, Bacchus and Herne. The Sabbat is named for a god, the Mabon ap Modron, who symbolizes the male fertilizing principle in Welsh myths. His full name (depending on the translation) means Great Son of the Great Mother, Young Son, Divine Youth or Son of Light. Modron, his mother, is the Great Goddess, Guardian of the Otherworld, Protector and Healer. She is Earth itself. Customs and myths: In the myth of Mabon, the god disappears, taken from his mother, Modron, when only three nights old. Mabon is freed with the help of the wisdom and memory of the most ancient living animals — the blackbird, stag, owl, eagle and salmon. All along, Mabon has been quite happy, dwelling in Modron’s magickal Otherworld — Modron’s womb — to be reborn as his mother’s champion, the Son of Light. Mabon’s light has been drawn into the Earth, gathering strength and wisdom to become a new seed. In a Greek myth associated with the season, autumn begins when Persephone leaves her mother, the earth goddess Demeter, to return to the Underworld to live with her husband, Hades, lord of the dead. Mabon is rather like Thanksgiving for pagans. The foods of Mabon consist of the second harvest’s gleanings, so grains, fruit and vegetables predominate. Pagan activities for the Sabbat include the making of wine and the adorning of graves. It is considered taboo to pass burial sites and not honor the dead. Another traditional practice is to walk wild places and forests, gathering seedpods and dried plants to decorate home or altar or to save for future herbal magick. The sounds of baying hounds passing through the sky, the “Hounds of Annwn” in the Welsh mythos, are associated with fall and winter. Spell-work for protection, wealth and prosperity, security and self-confidence are appropriate for Mabon, as are spells that bring into balance and harmony the energies in a room, home or situation. Ritual actions might include the praising or honoring of fruit as proof of the love of the Goddess and God. River and stream stones gathered over the summer can be empowered now for various purposes. “The Wheel rolls more, and Autumn returns. Symbolism of Mabon: The completion of the Harvest begun. Day and night are equal and the God prepares to leave His physical body and begin the great adventure into the unseen. Colors : Orange, Dark Red, Yellow, Indigo, Maroon and Brown. Goddesses: Modron(Welsh), Bona Dea, Harvest Dieties, Persephone, Demeter/Ceres, Morgan(Welsh- Cornish), Snake Woman(Aboriginal), Epona (Celtic-Gaulish), Pamona(Roman), the Muses(Greek). Gods: Mabon, Modron(Welsh), Sky Father, John Barleycorn , the Wicker-Man, the Corn Man, Thoth(Egyptian), Hermes, Hotei(Japanese), Thor, Dionysus(Roman), Bacchus(Greek) and all wine Deities. Altar Decorations: acorns, pinecones, autumn leaves, pomegranate, statue of the Triple Goddess in her Mother phase. Mabon Herbs: Rue, yarrow, rosemary, marigold, sage, walnut leaves and husks, mistletoe, saffron, chamomile, almond leaves, passionflower, frankincense, rose hips, bittersweet, sunflower, wheat, oak leaves, dried apple or apple seeds. Animals: dogs, wolves, stag, blackbird, owl, eagle, birds of prey, salmon & goat, Gnomes, Sphinx, Minotaur, Cyclops, Andamans and Gulons. Mabon Stones : During Mabon, stones ruled by the Sun will help bring the Sun’s energy to you.clear quartz, amber, peridot, diamond, gold, citrine, yellow topaz, cat’s-eye, adventurine. All along, Mabon has been dwelling, a happy captive, in his mother Modron’s magical Otherworld / her womb. Modron is Gaurdian of the Otherworld, Protector, Healer, the Earth herself. Her womb is nurturing and enchanted, but also filled with challenges. Only in so powerful a place of renewable strength can Mabon be reborn as his Mother’s champion, the source of joy and Son of Light. Once reborn Mabon’s light is drawn into the Earth, gathering strength and wisdom enough to become a new seed. During this time we celebrate Mabon’s death and his return to Modron’s womb, where he will soon be reborn. Mabon is the time of the autumn equinox, and the harvest is winding down. The fields are nearly bare, because the crops have been stored for the coming winter. Mabon is a time when we take a few moments to honor the changing seasons, and celebrate the second harvest. On or around September 21, for many Pagan and Wiccan traditions it is a time of giving thanks for the things we have, whether it is abundant crops or other blessings. It is also a time of balance and reflection, following the theme of equal hours light and dark. Here are some ways you and your family can celebrate this day of bounty and abundance. Mabon is a time of balance, when there are equal hours of darkness and light, and that can affect people in different ways. For some, it’s a season to honor the darker aspects of the goddess, calling upon that which is devoid of light. For others, it’s a time of thankfulness, of gratitude for the abundance we have at the season of harvest. Because this is, for many people, a time of high energy, there is sometimes a feeling of restlessness in the air, a sense that something is just a bit “off”. If you’re feeling a bit spiritually lopsided, with this simple meditation you can restore a little balance into your life. You can also try a ritual to bring balance and harmony to your home. Many Pagans and Wiccans count Mabon as a time of thanks and blessings — and because of that, it seems like a good time to give to those less fortunate than ourselves. If you find yourself blessed with abundance at Mabon, why not give to those who aren’t? Invite friends over for a feast, but ask each of them to bring a canned food, dry goods, or other non-perishable items? Donate the collected bounty to a local food bank or homeless shelter. Apples are the perfect symbol of the Mabon season. Long connected to wisdom and magic, there are so many wonderful things you can do with an apple. Find an orchard near you, and spend a day with your family. As you pick the apples, give thanks to Pomona, goddess of fruit trees. Be sure to only pick what you’re going to use — if you can, gather plenty to take home and preserve for the coming winter months. Take your apples home and use them in rituals, for divination, and for delicious recipes that your family can enjoy all season long. Without darkness, there is no light. Without night, there can be no day. Despite a basic human need to overlook the dark, there are many positive aspects to embracing the dark side, if it’s just for a short time. After all, it was Demeter’s love for her daughter Persephone that led her to wander the world, mourning for six months at a time, bringing us the death of the soil each fall. In some paths, Mabon is the time of year that celebrates the Crone aspect of a triune goddess. Celebrate a ritual that honors that aspect of the Goddess which we may not always find comforting or appealing, but which we must always be willing to acknowledge. Call upon the gods and goddesses of the dark night, and ask for their blessings this time of year. Fall is here, and that means the weather is bearable once more. The nights are becoming crisp and cool, and there’s a chill in the air. Take your family on a nature walk, and enjoy the changing sights and sounds of the outdoors. Listen for geese honking in the sky above you, check the trees for changing in the colors of the leaves, and watch the ground for dropped items like acorns, nuts, and seed pods. If you live in an area that doesn’t have any restrictions on removing natural items from park property, take a small bag with you and fill it up with the things you discover along the way. Bring your goodies home for your family’s altar. If you are prohibited from removing natural items, fill your bag with trash and clean up the outdoors! As autumn rolls in, we know we’ll be spending more time indoors in just a few months. Take some time to do a fall version of spring cleaning. Physically clean your home from top to bottom, and then do a ritual smudging. Use sage or sweetgrass, or asperge with consecrated water as you go through your home and bless each room. Decorate your home with symbols of the harvest season, and set up a family Mabon altar. Put sickles, scythes and bales of hay around the yard. Collect colorful autumn leaves, gourds and fallen twigs and place them in decorative baskets in your house. If you have any repairs that need to be done, do them now so you don’t have to worry about them over the winter. Throw out or give away anything that’s no longer of use. Grapes are everywhere, so it’s no surprise that the Mabon season is a popular time to celebrate winemaking, and deities connected to the growth of the vine. Whether you see him as Bacchus, Dionysus, the Green Man, or some other vegetative god, the god of the vine is a key archetype in harvest celebrations. Take a tour of a local winery and see what it is they do this time of year. Better yet, try your hand at making your own wine! If you’re not into wine, that’s okay — you can still enjoy the bounty of grapes, and use their leaves and vines for recipes and craft projects. However you celebrate these deities of vine and vegetation, you may want to leave a small offering of thanks as you reap the benefits of the grape harvest. Spend some part of the day in meditation on the meaning of the seasons and the ritual. Before the ritual have a bath in salt water to purify the body and as the water drains out of the bath, imagine all your negativity leaving with it. Dress in clean clothes or your robes. You should have a candle placed in your cauldron. Call the God and Goddess. Light the candle in the cauldron and then meditate on the season. The season turns and light and darkness stand once more in balance, but now the dark is gaining. The time of light and growth is over. The leaves whither on the trees and the birds prepare to fly away for the winter. The grass stands brown in the meadows and the flowers are faded. The bountiful Harvest Mother becomes the Crone who cuts down the Corn King in his prime. He is laid in his tomb, but will return to us when the wheel of the year spins around. His dark tomb shall become the womb from which he is reborn; an eternal riddle. So it is with us all. We are and grow with the light, but there comes a time when the Goddess calls us home. Let the wine be blessed which is the blood of the Earth pressed smooth (drink). Let the cakes be blessed in the name of the God, our Lord. Without his sacrifice we would not eat (eat). Thank and release the God and Goddess. Thank and release the Quarters. Mabon is one of those times of year that affect people in different ways. For some, it’s a season to honor the darker aspects of the goddess, calling upon that which is devoid of light. For others, it’s a time of thankfulness, of gratitude for the abundance we have at the season of harvest. No matter how you see it, Mabon is traditionally a time of balance. After all, it’s one of the two times each year that has equal amounts of darkness and daytime. Because this is, for many people, a time of high energy, there is sometimes a feeling of restlessness in the air, a sense that something is just a bit “off”. If you’re feeling a bit spiritually lopsided, with this simple meditation you can restore a little balance into your life. Mabon is a time of balance, and it is the time to celebrate the stability of the hearth and home. This ritual is a simple one designed to place a barrier of harmony and security around your property. You can do this as a family group, as a coven, or even as a solitary. If you live in an apartment, feel free to adapt the rite as necessary. The key here is to focus on the perimeter of your personal space, whether you have a half-acre yard, a big rural spread, or a downtown condo. There is no need to cast a circle before beginning this rite, because you will be casting a magical perimeter as part of the working. Begin at the entrance to your property that sees the most traffic. If you have a yard and house, this will likely be the end of the driveway, where it connects to the street. If you live in an apartment or town home, you may wish to use your front door, or the hallway in front of your door. You may want to put your supplies on a tray or in a bag, if you’re doing this alone. If you have other people participating, give each person some items to carry. You can do this rite at any time of the day, although evening may be better if you don’t want your neighbors to come over and ask what you’re up to. Place the bowl of earth at the entrance to your property. If you like, you can place it on a table, or you can just set it on the ground. Place your hands into the bowl, and feel the cool soil on your fingertips. Feel the energy of the earth, traveling from the ground, up into the bowl, through the dirt, and into you. for all those who enter. Leave the bowl in place, and begin slowly walking around the perimeter of your property, traveling in a deosil, or clockwise, direction. Feel the energy of your land, and the way in which you connect with it. Is there a tree you particularly love? Or the big rock where the kids always sit? Or that weird piece of root that you trip over every time? Consider why your property is home instead of just a place to live. Even if you live in an apartment, you can do this — what about that creaky spot by the door that your mom always hears when you come in late? All of these make a house personal and connect us to it. protect my home, my family and me. Keep out that which would cause us harm. at the time of Mabon. these things shall be mine. If there is a particular deity of your tradition that represents hearth and home, now might be a good time to call upon them asking for assistance. If you do so, be sure to make an offering in their honor. If you choose not to call upon deity at this time, just take a few moments to reflect on your home life, and the things that mean security to you. When you are finished, bring the bowl with the candle inside, and place it in a spot where all can see — on your hearth, or the kitchen table — and allow it to sit until the candle goes out. When the candle has burned away, return the earth to your property. ⦁ Even if you just live in one room of a home, you can still do this rite. Simply adapt it so that you’re going around the perimeter of the room, beginning with the doorway. Instead of pounding iron spikes into the ground, you can tuck a small nail up under the edge of the carpet. ⦁ A reader points out that in some areas, the ground may freeze enough to push iron nails out of the ground, which could cause problems once things warm up – no one wants a small child to step on a rusty nail! If you live in an area where this may be a problem, you may wish to remove the nails at certain times of year, or at the very least, check to make sure they are securely in the ground. NamedAlban Elfed by the Druids and Mabon by the Welsh, the Autumn Equinox marks the completion of the harvest. Once again, day and night stand in balance with equal hours of light and darkness. As do most celebrations held around this time of the year, the Autumn Equinox focuses on the harvest, the waning sun, and the onset of Winter. In the rural countryside, those who work the land come together to cut the last stalk of corn and sheaf of wheat. Following the gathering in of the last sheaf is Harvest Home, a huge supper or feast of roast beef, chicken, a stew of harvest vegetables, home-baked bread and cheese, and plenty of ale and cider. In Scotland, and parts of England, the man who cuts down the last sheaf is honored as lord and master of the harvest. The young woman who plaited the sheaf would be seated next to him and regarded as his consort. In Wicca, the Autumn Equinox marks the waning of the year when the Goddess descends into the Underworld. As she withdraws, we see the decline of Nature and the onset of Winter. Now is the time we count up our blessings, give thanks for our bounty, and look within. As the God’s shadowy presence begins to emerge, we remember what it took to achieve our goals and what is needed to maintain them. To make a Corn Baba, strip the off the husks from a dried ear of corn and soak them in water until pliable. Drain the strips on a paper towel and press flat with a warm iron. Take one strip and wrap around a cotton or foam ball to form the head. Attach the head to the cob with tape or glue. Use several long strips to cover the head and body. Cut a narrow strip of husk for arms and roll into 7″ length. Tie off at the ends with string. Attach to cob and then fashion dress from strips of corn husks. Finish off the doll using the silk or yellow yarn for hair. Embellish with colored ribbon, buttons, hats, and a basket. 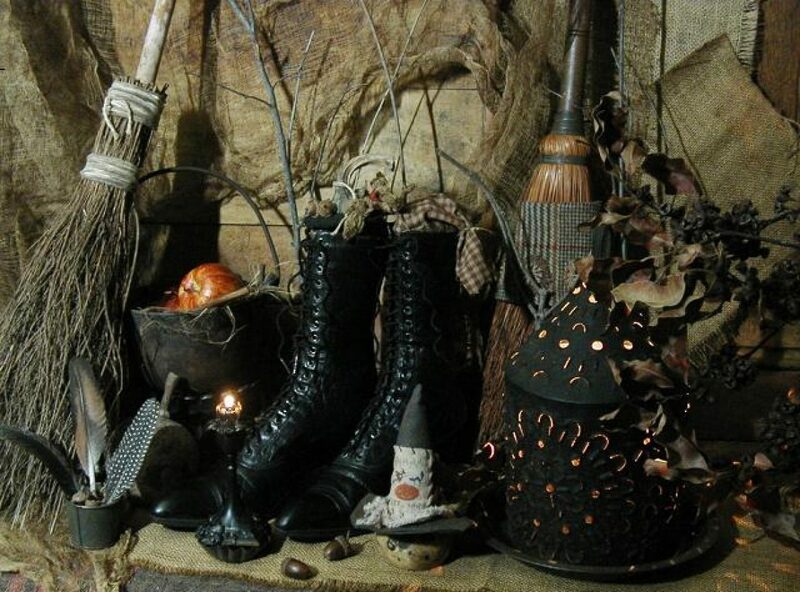 Wiccans and Witches observe the autumnal equinox with a lesser sabbat that many call Mabon. The day and night may briefly be of equal length, but from now on the hours of darkness will grow steadily longer, with the signs of natural life fading a pace. With harvest over, the Goddess of the Waning Moon now descends to the Otherworld, where she will reign alongside the Horned God, who has battled hideous being in his quest to become Lord of Death. 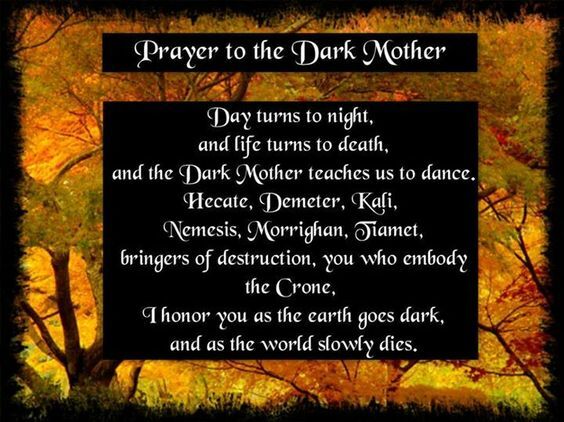 The Dark Mother teaches us to dance. As the World slowly Dies. The grapes have been gathered! The wine has been pressed. The casks have been opened. Merry Meet & Welcome to the Witches Celebration of Mabon, Day 1! May The Goddess Bless You & Yours with a Bountiful Harvest!